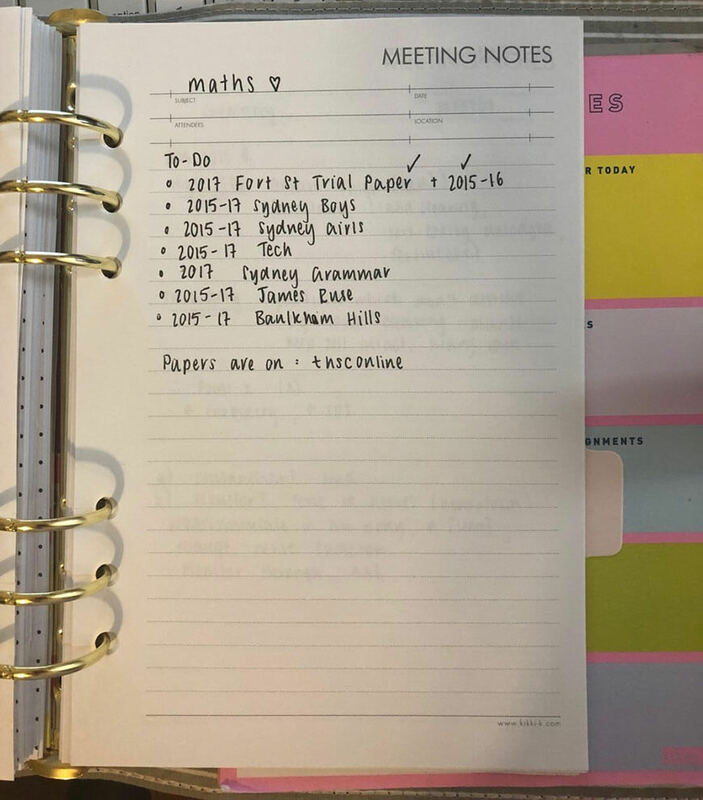 In this post, Stephanie shares her hacks for how she stayed ahead of her peers by getting ahead in English and scoring a 95.5 ATAR. 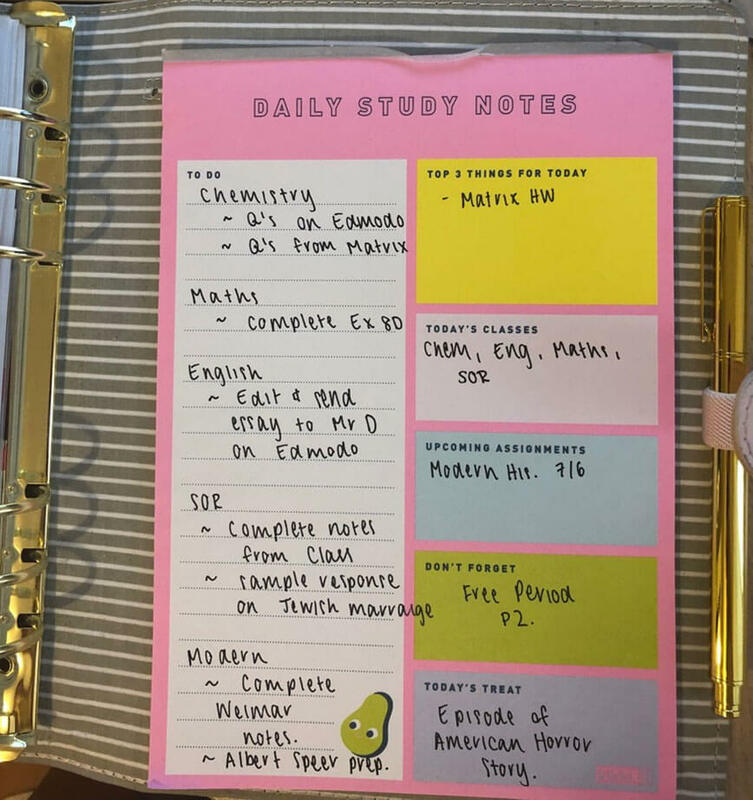 In this post, Strathfield Girls High School graduate and Matrix Alumnus Stephanie Trgovcevic shares her tips for staying ahead in English to score a 95.50 ATAR. This was because I had the ambition of ranking first in this subject. In year 11 I had ranked 2nd and being this close gave me the will power to try perform even better. I believe I set myself apart from everyone else due to planning my related texts and writing essays ahead of time and before they were taught in school. Honestly, I didn’t spend my entire holiday studying. Most of the preparation I did during the holiday was for English. I believe that the Term 4 and Term 1 holidays should be used for recharging and doing more “chill” study. For Term 2 and 3 holidays, my two best friends from Matrix came over my house almost Every. Single. Day. We motivated each other and also were able to have fun when grabbing lunch together. I would ensure that I was up to date with my notes for all subjects. It is surprisingly easy to fall behind, especially when assessments pile up and writing notes falls to the bottom of the priority list. 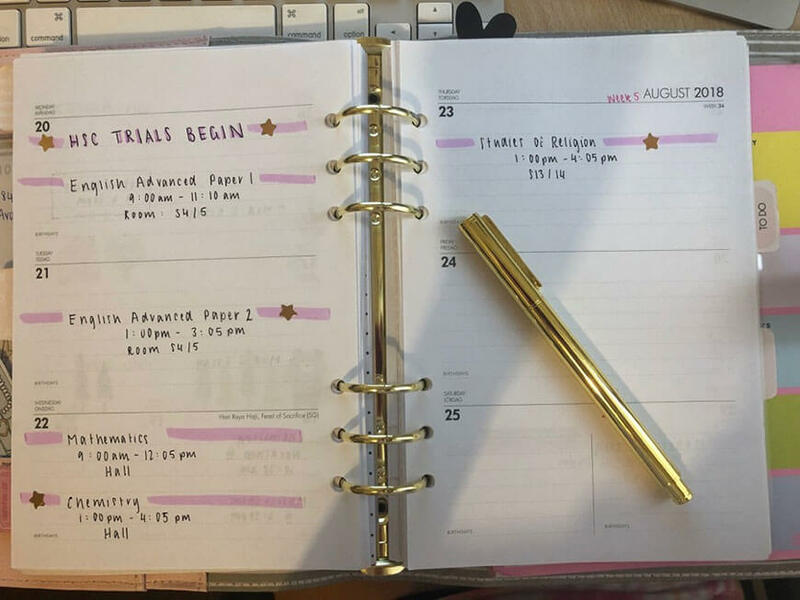 To keep on top of tasks I used a planner. 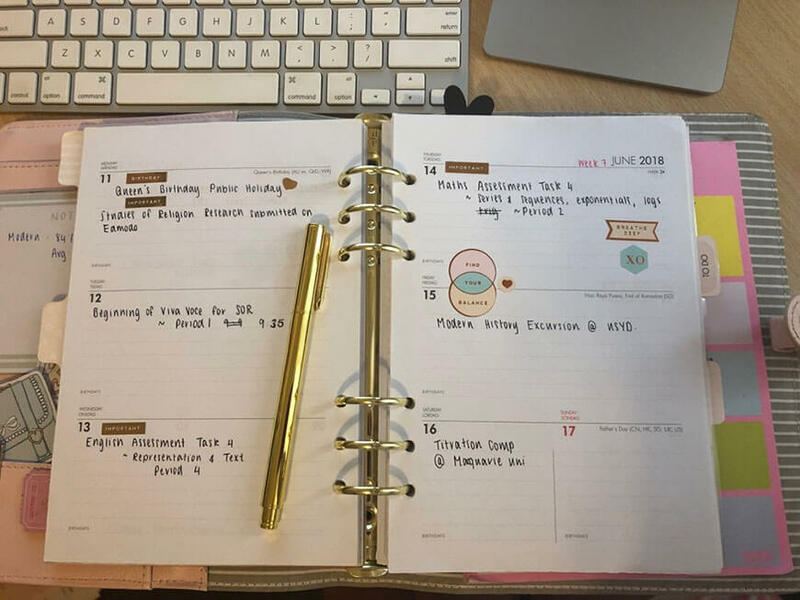 My planner helped me stay organised! My planner was essential. I spent an excessive amount of money on a bubble-gum pink, leather-bound planner which was monogrammed in gold. My excuse is that it that encouraged me to use it and I intend to continue using it during uni. My best friend and I decorated our planners with cute stickers to make our mundane weeks seem all the more exciting. However, I think using planners or to-do lists on your laptop or phone would be just as effective – you just miss out on washi tape. I could plan my daily schedule as well as the week ahead. Like most students, I was quite (very) stressed during year 12 and I cried. A lot. Despite studying for the entire year, I had still felt unprepared and believed I was facing doomsday when my Mathematics and Chemistry exam was on the same day and the day after English Paper 2. Because they offer complementary workshops to supplement the classes at Matrix, I had booked Maths and Chemistry workshops the weekend before trials began and felt so anxious that I had burst into tears in front of the tutor. At least it’s funny now. Use your workshops not only for going over practise exam questions but also a shoulder to cry on. Tutors are pretty cool. Running became fun. Crazy stuff! I only ran around once a week, but this was enough to make me feel much better. I found that it was the only way to get my mind off school because for half an hour, not running out of breath became the top priority. I found managing my anxiety really difficult at times. During my “down” periods I lacked the motivation to study, and I’d procrastinate by going down the YouTube rabbit hole. This would usually last until my next tutoring class, where I’d feel guilty for not studying. Then I’d flip and go through an “up” period of studying for long hours to make up for lost time. I always hear of people talking about avoiding “burning out”. It became clear to me that “Burning Out” = Lack of Motivation (onset by exhaustion). Have a clear goal of the university course you want and the required ATAR needed for that course. This will give you an idea of the marks you need to achieve and how hard you will need to work for those marks. Remember that the HSC is temporary. I got through difficult times by mentally transporting myself to the near future. I’d tell myself things like, “imagine how happy you will feel when you see that you received a 95 ATAR”. Study consistently: I found I was in a much better mental state when I studied consistently. I wouldn’t measure the amount of study by hours but rather by the amount of work completed. Sleep!! Any study done at 1 am will not be nearly as effective as the study done at 9 am (provided that you slept for 8 hours). As HSC neared, I did several past papers throughout the day. But I also took specific steps for my subjects. I’d keep a checklist of the practice papers I needed to do. Do not waste time on the first few questions. Sometimes, I would do the paper backwards because I am more alert at the beginning of my study period and the last questions are typically harder. Once you find the questions getting too easy, move onto the next paper. It is not useful sitting and looking at a difficult question for an indefinite amount of time – this is demoralising. Come back to that question after a break. I was lucky to have an elder sister who had completed the same coursework, which helped significantly. This allowed me to see the feedback her year group received from each assessment task. I would suggest finding someone in the year above to look over their assessment notifications and more importantly, the feedback they received. This made it possible for me to be several steps ahead. Work ahead. During each holiday, I would write essays for the text we are doing the next term. I would ask my teacher if my related text was a suitable choice before I began further researching and developing my essay. Study it all year. To be entirely honest, I wasn’t studying for every subject during the holidays. But I always made sure I was ahead for English which lessened the workload during the term so, I could focus on other subjects. Get feedback. Above all, receiving feedback for your work is critical to success. I would send my essays to a bunch of friends and ask them to be as harsh as possible in their opinion. You would find that friends from different schools will have new opinions that you may not have heard before. Know your material and notes. I can only imagine the number of hours I spent not only writing the essays but memorising them. 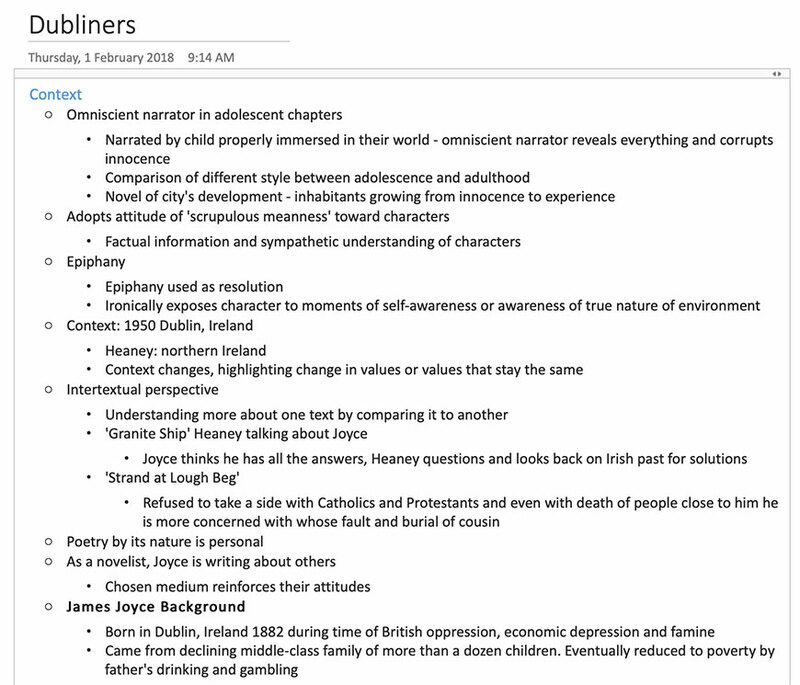 Contrary to what many teachers had advised me, I memorised all of my essays and creative (editors notes: this was a practical strategy for the old syllabus, the new syllabus and HSC will make this much more difficult). This is what worked for me. Personally, it lessened my anxiety going into the exam room. believe it is a waste of time memorising a page of quotes when realistically, you will use 12 quotes per essay at most. Aim to adapt the essay. Because I had learned it, I knew that I could always adapt my essay and I wasn’t afraid of changing my essay to fit the question – this is necessary for this method to work. Remember, you only have 40 mins to write the essay! We all have that one friend who is a good crammer. However, don’t beat yourself up about not being that friend. I am a horrible crammer. The night before an exam, you will most likely find me watching YouTube. Allow yourself as much time as you need to comfortably revise and avoid unnecessary pressure. Change up your study surroundings. During year 11, I was able to study in my room however, during year 12 this quickly became boring. Explore and travel to new libraries. For me, the trips to and from the library allowed me to just sit and listen to music. I can safely say that I have no regrets. The one thing I told myself consistently throughout the year was to make sure that when this is all done, I won’t have any regrets. I set out to achieve a 95 ATAR because that is what my course required from me. Since reaching that goal I cannot say that I would change anything. Your ATAR belongs to you! Not your parents, teachers or anyone else. An ATAR is merely a method for entrance into courses at university. Like the HSC, you will be the one undertaking the degree and no one else. Focus on that. Organise yourself and avoid extremes – avoid the roller-coaster! Manage expectations – dare to be flexible with your goals. Want to Ace your HSC like Stephanie did? Book your free Matrix Lesson today. Join over 4500 students who already have a head start like Stephanie did. Book your free trial lesson today.